Happy Saturday polished world! And boy is it a happy Saturday for me, I don't have to work today and it's supposed to be gorgeous out! That means I'm going to wash and wash my car, and maybe vacuum it as well. Sure, it really doesn't sound too fun, but anything sounds good after you're able to sleep in. Oh how excited I am to sleep in. I'm also excited to share today's pretty manicure - Zoya Bubbly Monarch Wings! 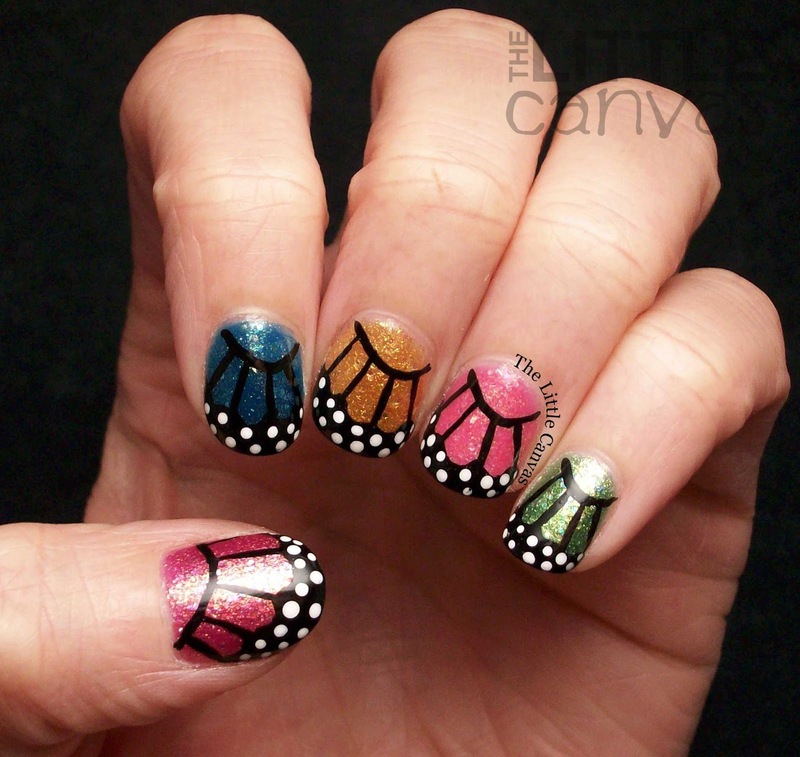 As soon as I received the Bubbly collection from Zoya, I knew that I wanted to re-create the monarch design on my nails! 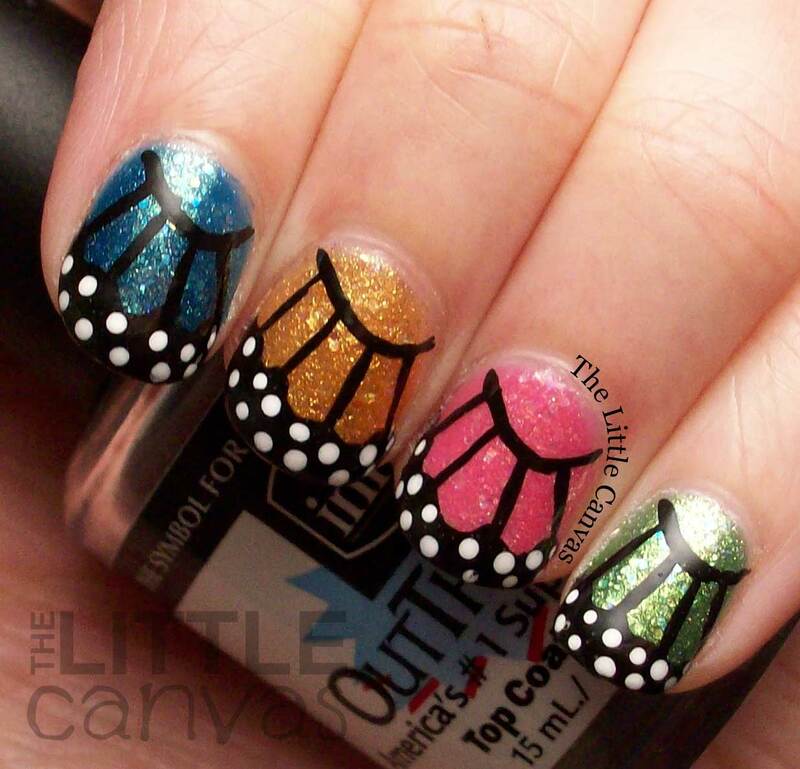 Last year, you may remember that I did this exact design using the Irresistible polishes. Looking back at that manicure, I'm remembering how gorgeous the Irresistible polishes are. I need to dig through my stash and re-use some of them this summer. Also, look how short my nails were! Goodness gracious. Instead of doing a gradient like I did with the Irresistible polishes, I decided to go simple and just swatch the colors. I'm so happy I did this and didn't complicate the gorgeous polishes. Let's take a look! Aren't the colors gorgeous? In the sunlight, each polish takes on a whole new dimension. I'm actually quite upset that I couldn't get some outdoor photos of these nails. It of course was cloudy and then the tips started to wear since it was black, so the lightbox it was. Each polish is a colored jelly based with holo glitter pieces throughout. Muse and Stassi are the most color concentrated of the bunch. For me, it took two coats to get full coverage. Binx, Alma, and Harper all took three coats to get the colors to really pop. If you used one thin coat followed by one thicker, you would have been perfectly okay. Since I was doing art though on top, I really wanted my base to be as concentrated as possible. The formulas though are pretty great and the polishes themselves are unlike anything else in my collection. I highly recommend them! What do you think? 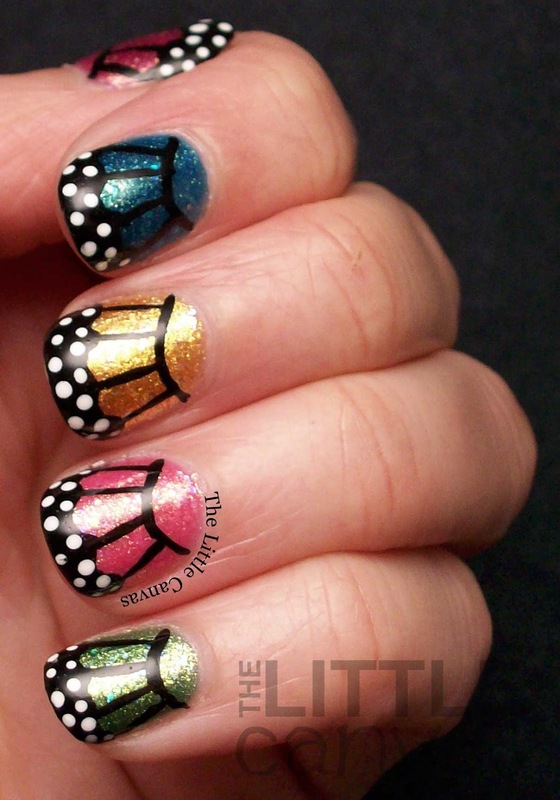 Like the monarch wings? Loving the Zoya Bubbly polishes? Would you like to see a tutorial? The Zoya Bubbly polishes can be purchased from Zoya's website for $9.00 each. I don't believe that they currently have any promotions, so you'll have to splurge if you want them. I think they're worth it! The Beauty Buffs: Neon Everything! 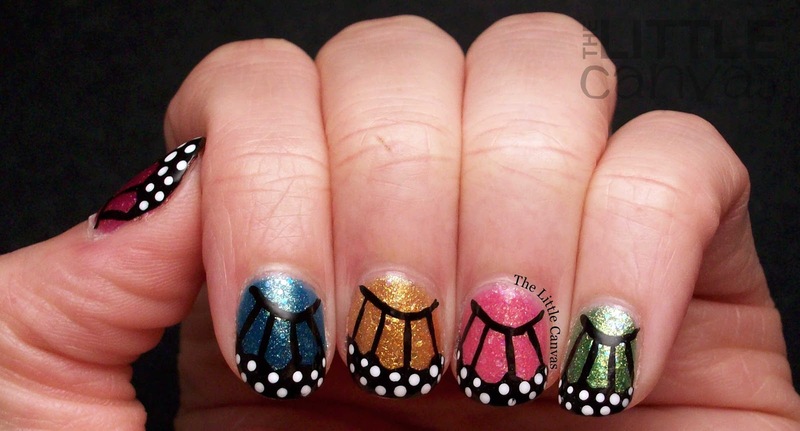 June Nail Artist of the Month: A Painted Nail!